In 2005, I co-wrote the history book, Ultimate: The First Four Decades. I’ve covered ultimate since the late 90s but more has happened in the last ten years than the previous forty—and one of the biggest and most unorthodox has been the birth of the AUDL. Like most ultimate media types in 2011, I felt the conception of the AUDL was a weird joke, a bad idea—at best improbable and doomed to fail. When you read the first mainstream news article about semi-pro ultimate from Slate, you get the idea. But on the other hand, ultimate has had decades of unsuccessful entrepreneurship coupled with reactionary leadership. If anything, this apocryphal plan from outside the sport had a peculiar chance—maybe even the only chance—to change the storyline of the sport. And then it did have success, practically overnight. The hook “professional ultimate” was picked up more and more by mainstream media outlets. Improbably, the AUDL was a thing. Since 1972 when the first intercollegiate game of ultimate was played in front of thousands of spectators, players have imagined and predicted a near future where Monday Night Ultimate was on TV. In the decades since, we’ve had Jose Cuervo, the NUA, the Callahan Rules, Cultimate, NexGen—but none ushered in an era of ultimate as a spectator sport and a worthwhile media attraction. Everything I knew of the AUDL prior to the first pull sounded like a vaguely sinister plot: find dupes on Craigslist, sell them a “team” for $3,000, $5,000, or whatever you could get. Location didn’t matter—maybe Topeka, Rennsselear, and Mankato wanted a piece of “pro” frisbee, why not? New rules, referees, football fields. It felt like a hokey appropriation of ultimate based on other sports paradigms. It felt inorganic. As far as anyone could tell, the league was founded by a Midwesterner (like myself) named Josh Moore, who may or may not have played ultimate. He wasn’t in touch with the current scene and might have started the concept as a pyramid scheme. Or maybe he wasn’t conniving, maybe he just harbored a quixotic idea to start a league in a well-established sport that already had leagues. But no one knew. When the team names came out, they resembled arena football, not ultimate. When the websites appeared, the joke spread. And when the lawsuits were publicized with much seriousness by the start-up news site Ultiworld—itself another appropriation of mainstream culture applied to our quirky sport—the writing was on the pyramid: the AUDL and its wannabe sports machismo was a fraud. Major League Ultimate started later that year as a shiny new thing that carried the imprimatur of the players: Now this was something from within ultimate. This was familiar, this was elite, smart, crisply designed — not rag-tag teams with a rag-tag media presence. The MLU was what the AUDL should have been all along. But the AUDL hung around. And when the top players started leaving the MLU because of the organization’s autocratic control, the script flipped. The AUDL started to feel like the league aligned more closely with the values and personalities of most (male, elite) players and, equally importantly, with the values of ultimate on a macro level. The Integrity Rule was a working appropriation of Spirit of the Game. The individuality of the franchises meant that differences in teams and cultures would stay alive—something that was squashed by the MLU. Management didn’t pick fights with USAU. The AUDL began to resemble ultimate’s organic, stutter-step, lovingly fraught growth over the past forty years. The AUDL started to feel authentic. But the founder from the Midwest was still a mystery. The faces of the AUDL became players and owners. Moore was missing from the story, and no one seemed to mind. In spring of 2016, I set out to find the story of the founding of the AUDL. For that, I needed to talk with Josh Moore. Partially due to the publicized lawsuits from Ultiworld, Moore was wary of the media and removed from the ultimate scene. I first spoke with him April 2016 and then again in March 2018. Contrary to the image of Moore as a foolish rube, imperious founder, or grifter savant, I found him to be earnest in that guileless, genuine Midwestern way, true to his word in his interactions. If he’s some sort of master manipulator, he probably wouldn’t still be working as a Certified Public Accountant in Omaha. It should be noted than when I first spoke with Moore, he was still active in the league and sat in on meetings at the executive level. Since that time, his role has diminished and he does very little with the AUDL. He should in no way be construed as a spokesperson for the league. The following has been edited for clarity and to piece together separate phone calls and several emails with Josh. Tony Leonardo is an author and ultimate historian. Find him on Twitter, mock him online at thegreatestsporteverinvented.com, or simply wait a few more years until the 50th anniversary of ultimate brings an updated version of the book Ultimate: The First Four Decades. 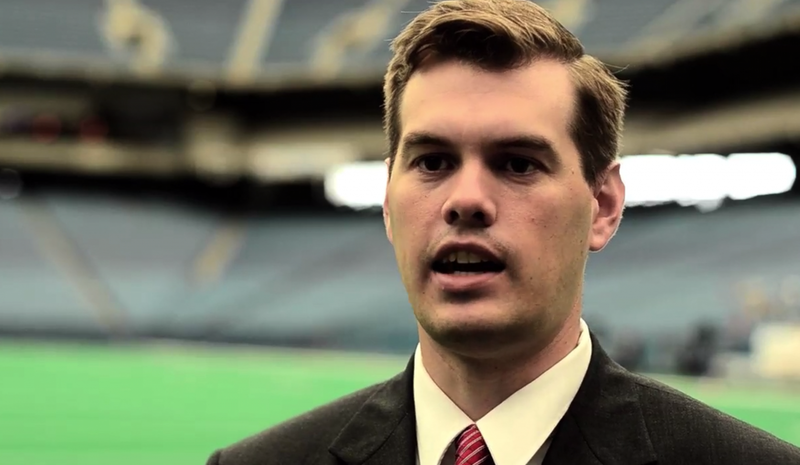 Comments on "Q&A with Josh Moore: The Founding of the AUDL"